What is CBD Oil? It is still fairly new and people are just learning about it. Read here to learn about CBD oil benefits, what it is, how to use pure CBD oil with essential oils, and why it may be right for your health journey. As a disclaimer, I am not a doctor. But I do follow healthy practices and research a lot for myself and my family. I have used essential oils a lot and am also now using organic CBD oil. You are responsible to find out what works for your health, and it may take some trial and error. Please talk to your doctor before you begin any regimen. I will refer to CBD oil, and that is a 1 mL dose I am talking about. But please check with your brand to see what they recommend as there are many different strengths available. When I first heard about CBD from hemp oil, I stumbled upon it trying to find a natural remedy for my mom who had just been diagnosed with a brain tumor. The more I read about CBD oil and cancer, the more interested I became. I knew that radiation and chemo would be hard on her body, and I wanted to help her find a natural solution. But I don’t advocate using drugs, not even the use of marijuana, because I have seen what it does to people, their relationships, and their brains. So I was stuck between what I had always believed about drugs and helping my dying mother. We were in North Carolina at the time, and I was ready to move her to California (where marijuana was legal) so we could get the medicine we needed for her. She didn’t want to move, understandably. Her doctor laughed at me for asking if he could prescribe her CBD oil or anything like that to treat her. My extended family was not supportive of natural healing for her either. The end of the story with my mom is that 11 weeks after diagnosis, she passed away. Would a natural remedy like CBD oil have worked for her? I’ll never know, but I do know that traditional medicine only made her remaining weeks of life full of illness, doctor’s appointments, treatments, and hardship. And I would have preferred another path. I found out that CBD oil has recentily been legalized in all the states in the US. So I continued to research. People I trusted like Dr. Axe and Trim Healthy Mama were starting to support the use of CBD products. I got pretty excited! I love finding new natural ways to treat myself and my family. THC is the ingredient that causes the high feeling. Hemp in its original state is really beneficial for humans and does not cause a high. But people have tampered with and hybridized the marijuana plant, causing the THC ingredients to come out because some people like the feeling of being drugged. But apparently, the marijuana plant in its truest form does not cause a high. I found this really interesting, to be honest. So when choosing a CBD company, if you are like me and don’t want to lose your mental clarity, then make sure you check the ratio of THC to CBD. If it is <.3% THC, then it is under the federal limit and cannot get you high. What does CBD oil do? There are many health benefits of CBD in hemp oil. CBD can help restore balance in your body and allow your body to heal, which I love! There are several benefits of CBD oil listed in the infographic below posted by Dr. Axe, and in my comments I will show how adding an essential oil or two can assist the hemp oil CBD in doing an even better job! For me personally, CBD tincture mixed with lavender essential oil has helped me sleep better. I use a 500mg bottle of CBD (30mL) with about 20 drops of lavender and shake. I take it at night before bed, and I started by putting about .5mL under my tongue for about a minute. Gradually, I made it up to 1mL over the course of a few nights. Then I swallow the oils and brush my teeth before bed. It’s that easy! The first week I didn’t notice much difference. But after a few nights, I realized I was going to sleep faster and staying asleep through the night! You may find my article on sleep helpful: How to Get Better Sleep Naturally Tonight. My daughter had a really bad cough after a cold, and what worked best for her was taking CBD oil (.5mL) and 2 drops of turmeric essential oil. (You can read about this by clicking the link.) She took the CBD tincture under her tongue, and I gave her the turmeric essential oil in an empty veggie capsule to swallow. Both of these ingredients reduce inflammation which can help with an irritating cough. Maybe CBD can work for your cough, too! One of the reasons I love both CBD oil and essential oils is their wonderful versatility! When you buy good quality CBD oil and essential oils, you can use both of them as oils or lotions (topically), as well as internally. This gives you a lot of options! So for CBD oil for pain, I put a dropper full of CBD oil (about 1mL) and one drop of Copaiba essential oil under my tongue for a minute, then swallow. Another option is that you could rub a little bit of CBD oil and one drop of Copaiba oil (or one drop of Deep Blue – your choice) directly onto your skin for muscle soreness, aches, pains, or bruising. This may not be wise for a cut, but for soreness it’s great! You may like my blog post about My Top 5 Helps for Natural Pain Relief. There are a few essential oils I recommend for anxious feelings. This article goes over them in more detail and how to use them: Best Essential Oils for Calming Anxious Feelings. use one drop of lavender and CBD oil under the tongue like mentioned in the sleep section above. This can help calm you. take one drop of Copaiba and 1 mL of CBD oil as noted above in the pain section as this can also work for anxious feelings and uplifting mood. add one drop of a citrus essential oil under your tongue with CBD oil. Citrus is helpful in promoting a positive attitude. blend one drop of frankincense essential oil with CBD for calming and grounding. In addition to the above ways you can ingest a good quality essential oil with CBD, you could also diffuse the essential oils listed. And you could take CBD orally or use a CBD rub topically as well. As noted in the intro, I wish I could have had the chance to try this one with my mom. Even if CBD does not often cure cancer, I am sure that it could help reduce the symptoms of chemo, radiation, and stress that goes along with a cancer diagnosis. Just helping to alleviate stressful feelings and build immunity would be enough to give me the desire to at least try it to see how it worked. I definitely don’t think it would hurt at all to try CBD if you find yourself in this situation. You can take CBD oil for nausea, and what can really help this is either peppermint or ginger essential oil. Diffusing peppermint is great for nausea. And ginger can help when taken orally. So I would put ginger essential oil in a veggie capsule and take it around the same time you take CBD. You can also rub peppermint essential oil with a carrier oil on your stomach. In addition to a high quality CBD oil, I would add frankincense and spikenard essential oils to help with neurological disorders. You can take both of these essential oils (only good quality ones) topically, internally, and aromatically. Try all three ways to see which one yields the best results. While taking CBD to help maintain an already healthy blood sugar level, I would add cinnamon and coriander essential oils. Both of these can be taken orally (in water or a veggie capsule) or topically on the bottoms of the feet with a carrier oil. marjoram to support the heart muscle. black pepper to warm and tone blood vessels. geranium to support the heart, blood, and blood vessels. ylang ylang to help balance the heart rate. All of the above can be used aromatically in a diffuser. They can also be used topically with a carrier oil on the bottoms of your feet, along your spine, or on your chest. And these oils (if they are high quality and it says you can ingest on the bottle) can be ingested as well in water, in a capsule, or under the tongue. Now that you have read all about the benefits of CBD oil, how CBD cannabis oil won’t get you high, and how easy it is to blend them with essential oils, I bet you are wondering about where to buy CBD oil. 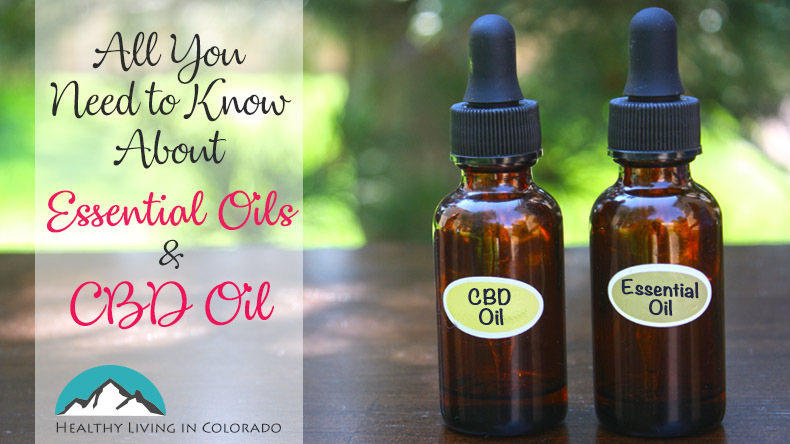 First, we will look at the ways or methods of using CBD oil, then we will look at what to consider when buying CBD hemp oils to help you make a good educated decision. CBD oil is the most basic and versatile way to use CBD I think, especially with essential oils. And that’s mostly what I have discussed above. But there are many different ways you can get CBD into your system, so keep reading! CBD vaporizer oil is another method by which you can take CBD. The CBD oil effect and speed of effect may be a little bit different depending on the method you use, but the benefit should be similar. With vaping CBD oil, you will need a CBD oil vape pen. There is a warning against this method with certain brands. Some CBD oils have propylene glycol in them, which when burned can turn into formaldehyde and cause dangerous or adverse reactions. A tasty way to get your CBD in is with CBD Gummies. The watermelon flavored ones taste like Sour Patch Kids. So they are good but keep them away from your children or they may eat them like candy, which, of course, is not good. There are also different candy flavors like Golden Maple Caramels or Chocolate Bliss! Yumm-o! CBD Capsules are easy to swallow and come in different doses. These are easy to keep with you so you can take them on the run if needed. CBD water is specially formulated to give your body the best absorption of CBD so none of the goodness is lost. If you love coffee like my husband and I do, then this is for you! Each cup of hemp infused coffee contains 5 mg of hemp-derived CBD. It’s also non-GMO, gluten free, and vegan. Sounds like a great way to start the day, right? Hazelnut, vanilla and mocha CBD coffee creamers! Again, you can’t go wrong. Each coffee creamer with hemp extract has 5mg CBD. Plus they are gluten free, vegan, keto, and sugar free. Yum! CBD Isolate can come in a couple of different forms, like powders and crystals. The powder is finely ground and can be incorporated into cooking or baking. Crystals are bigger and can be mixed with slightly warmed coconut oil and used on the skin. This can be good for acne or pains. As you can imagine, lots of companies are wanting to get on the CBD bandwagon and make money while it’s hot. There are some good companies out there, and some not so good companies. Your health is your most valuable asset, so you know the value of the best quality CBD oil. When searching for a good quality CBD oil company, make sure they have a Certificate of Analysis (COA). This means that the manufacturer tests for contaminants and it meets lab standards. If you ask for one and they don’t provide it (yes this happened to me!) or you can’t find a COA on a company’s website, you can assume the quality is poor. The product may not work well because it’s been watered down, or it has too many contaminants and they don’t want to post their findings. So if you are looking for a CBD oil sale, bulk CBD oil, or wholesale CBD oil, you may find one, but be sure that it is good quality before you give them a penny. Before taking CBD products, consult with your healthcare practitioner, drug screening testing company or employer and see if they recommend a zero thc version of the cbd oil which is available for purchase. Most CBD sites require you to also be at least 18 years or older to promote CBD products. CBD Oil is still new to being legal across America, and a lot is changing with it right now. But my brief CBD Oil Review for what I currently know is here. I have used the ones listed below, so it’s first hand experience, not just internet research. In my research and using 3 different brands over the last few months, I have a couple of recommendations. You can look here for my main recommendation for the best CBD oil. Here’s why it ranks number 1 for me. This brand is a good price, organic, and non-GMO. There are many ways to use it (including coffee!) which are listed above. This brand has helped me with pain, sleep, and mood. There are different strengths as well, depending on your needs. So this one has a good overall variety of use/methods, it’s organic, it works, and the cost is in line with other brands. Plus, they will give you a 60-day empty bottle refund. If you change your mind within 60 days of ordering, send it back and they’ll refund your purchase. So you have nothing to lose except the price of shipping unless it works! Love it! The number 2 product my family likes is also listed above in “How to Use CBD” section. We like the gummies and the fact that they have capsules. We have not tried the capsules, but I think it would be great for travel. They also have vaping, wax, chocolate, and a super wide variety of options, more options than number 1. The products worked well and the price seemed on par with other good quality CBD oils. I also used THM Feminine Balance CBD Oil, and it was nice. It helped me sleep, which was the main benefit I noticed. A couple of issues happened though. This is their only product, and it was a low dose. Also, they said it was infused with clary sage, but they later announced it was actually sage. And thirdly, they ran out of stock after a few days. Again, it is a good product, but there were issues I ran into. I looked into Select CBD. They never provided me with a COA, and it is not on their site. So I cannot recommend them. Dogs can have several different issues that CDB oil can help – stress, health concerns, skin conditions, mobility difficulty, digestion issues, and more. Here are a couple of recommendations for CBD Oil for Dogs. This one has a good variety for dogs like CBD dog treats for example, which is why I like it. This one has a special CBD oil for dogs which is good, too. And CBD for cats can also be necessary at times. These CBD hemp oil benefits in the form of cat treats and tinctures can help with things like pain, anxiety, and serious medical conditions. You may enjoy this article The Best Essential Oils for Cats and Dogs. This is very interesting!! I wonder if we get it here. First of all, I am so sad to hear about your mom. As an ICU nurse, I know how painful that is because I have been there with so many families as they say goodbye to their cherished parent. It breaks my heart to even think about it. As I have journeyed on this natural lifestyle, I see a night and day comparison to our modern medical system. People aren’t getting better. Thank you for writing this review. I haven’t tried CBD oil yet but have sleep problems from not being able to turn my brain off. I have been wanting to try it but didn’t know how to evaluate the quality so this was very helpful. I have seen a lot of people recommend this brand. I love that they have it third party tested for contaminents such as pesticides because I definitely don’t want to put that stuff in my body or my family’s! Wow, you are so brave to be an ICU nurse! I can’t imagine what you’ve seen, and how it sometimes is difficult to be on the healthier end of the spectrum with so much medicine around. It is really different… I am glad the CBD review was helpful to you. Please message me if you have any questions! I’d love to help you get started on the journey! Blessings on your job as you are an angel helping families in tough spots. What a thorough post! We use CBD capsules for anxiety and a cream for pain and inflammation. It works amazingly well! I had no idea that it was good for balancing blood sugar! So important. I also had no idea about CBD water or coffee. How cool! Thanks for putting in the time to researching this topic! Thank you, Chelsea! I appreciate the feedback, and I am so glad CBD oil works for you as well! Thank you for this information. I was just discussing CBD oils with a friend who is a nurse over the weekend. I’ve been researching it for use with migraines. I had no idea there were so many CDB products available. Oh, you’re welcome! I am glad you found it helpful. Please let me know if you have any questions! Thank you for sharing this info! I fully believe that CBD oil can be truly beneficial for a variety of purposes! My wife who has MS has found it to be super beneficial when she used it in the past! Unfortunately, my state is currently trying to prosecute hemp products under the same penalties as actual marijuana (which means mandatory jail time) 🙄 Hopefully soon, we will all be able to freely access the these healing herbal options! This was really helpful and answered a lot of the questions I’ve had about CBD. I’ve been meaning to do some research but hadn’t found the time yet. Will continue to read. Thanks! Wonderful! I’m so glad you found it helpful! Please let me know if you have questions as you move forward. I have anxiety and PCOS and I have been wondering lately if CBD is the thing to try. I’m going to be talking to my former midwife soon about it. Thank you for sharing that. I hope you find something that works for you whether it’s CBD or something else. With my company it’s a 60 day empty bottle guarantee. So if you decide to use it, you may want to try this one since there’s really nothing to lose. Please message if you’d like to sign up! Blessings as you seek out a good solution! CBD oil has some amazing benefits! thanks for highlighting these! First, I’m so sorry to hear about your mom and that your family did not support any natural healing methods. Secondly, thanks for all of this great information about CBD oil! I have been curious about about it but I haven’t invested the time to really learn about it yet. This is definitely a great starting point for me. Thanks for your kind words, Emily. That’s very sweet. And you’re welcome for this resource. Please let me know if you have any questions about it in the future! I’m a huge proponent of legalization in general, but I’m especially glad that at the very least CBD is now legal and available in all 50 states. There are just so many health benefits! Yes, there are so many health benefits! It’s great. Thanks for your comment! Thanks for the info. I’ve been interested in essential oils for a couple years now and you’ve highlighted some uses that Im going to try. D has been having issues with anxiety and sleeping so I’m going to put a diffuser in her room and use your ideas to see if EOs might be helpful. We tried melatonin but it hasnt really helped. I really like using natural remedies with the girls. We all swear by Olive Leaf extract for sinus relief! Thanks for all the great info!!! Hi, Jenny. You’re very welcome. Did you see the article I linked to on anxiety? https://healthylivingincolorado.com/essential-oils-for-calming-anxious-feelings/ Have a look if you didn’t read that one. Please let me know if you need any oils for D. I tried melatonin a few years ago, and it didn’t work for me either. I haven’t tried Olive Leaf extract. Thanks so much for the tip! This is great information! Thank you so much for explaining everything so well. I can’t wait to try it. I’m even interested in the CBD dog treats because my Australian Shepherd has an autoimmune and NOTHING has helped her. That’s great, Myrtle! Thanks so much for the encouragement! So glad it was helpful. Please let me know if you have other questions. 🙂 And how it goes with your dog. I’ve heard great things about CBD and pets! Over again, my dad would have skipped the chemo. I wish I had known about CBD oil then, it may have helped him. Your article was very informative, thanks for all your research and sharing it. I didn’t know much about CBD oil and I’ve been seeing it around a lot so this was really helpful to me. And I am sorry for the loss of your dad. I am glad you found the article informative. The more you research CBD the better it sounds! Thanks for the comment. That’s great, Anna! Thanks for the great testimony. So glad it’s working well for you. Wow I love that you noted “the marijuana plant in its truest form does not cause a high”. Lots of amazing health benefits.